I read this article and found it very interesting, thought it might be something for you. 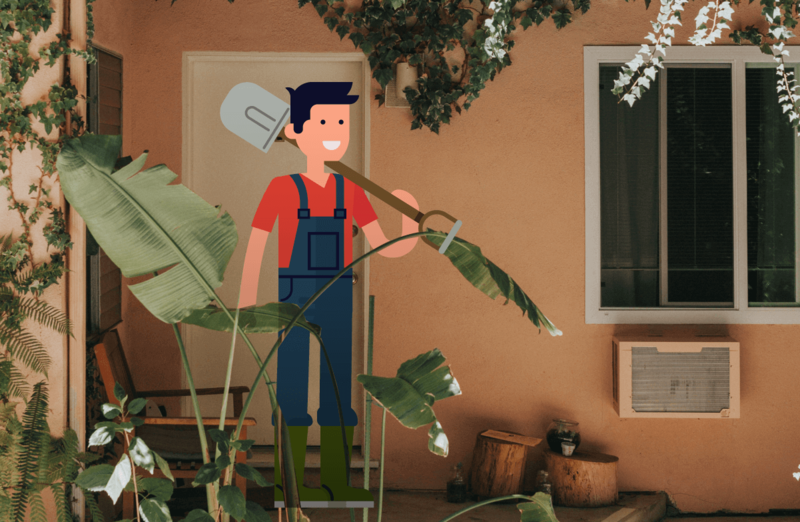 The article is called 8 Things You Must Do to Be Environmentally Conscious and Make Your House Green and is located at https://electrify.sg/content/articles/8-things-you-must-do-to-be-environmentally-conscious-make-your-house-green/. If you’re reading this, give yourself a pat on the back. Thinking about making a more environmentally friendly home isn’t just great for the planet; it’s pocket-friendly and practical too. That said, with our packed schedules, work, travel, commitments, kids, hobbies – where do we find the time to adapt to new green practices? Here’s some good news for you – going green isn’t a complicated drill or one that drains your time and energy. You may have heard of the ‘Green Mark’ certification awarded to buildings that have incorporated environment-friendly construction practices. You can put your own green stamp on your home with just small alterations to your lifestyle. After all, isn’t greener living better living? This one is a no-brainer. The National Environment Agency, Singapore estimates that a compact fluorescent lamp uses 13W of energy as compared to an incandescent bulb, which uses 60W. Moreover, the life of a CFL or LED lamp is more than ten to twenty times the life of an incandescent bulb. Hazardous for the environment and emitters of heat, incandescent bulbs are slowly getting extinct around the world for good reason. There will be some initial expense as you move to cleaner bulbs but the benefits outweigh them in the long run. The best part? You stand to save about S$30 a bulb per year. What do you look for when you are in the market to buy an air conditioner, refrigerator or a washer dryer? Quality, brand name, price and after-sales service, of course, but don’t forget to read the product’s ‘Energy label’, which shows its energy efficiency rating. Products with four green ticks result in a cut of about 35% on your energy bill and are safer for the environment too. For other appliances, you can check the Energy Star rating. Higher the rating, higher the savings for you and friendlier to the environment. Had a big house party? You might wake up to empty plastic and glass bottles, cans, paper plates and decorations strewn all over. Thinking of dumping everything into one big garbage bag? Think again. This common waste management habit is the worst mistake you can make for the planet. Singapore’s integrated solid waste management system is all about the three Rs—Reduce, Reuse and Recycle so why not make it a part of your daily routine? Add another R to it—Really simple! All you need to do is look for the blue garbage bin. Paper, plastic, glass and metal products deposited in this bin can be easily recycled, making it a two-fold advantage—getting rid of the waste and better utilization of existing materials. What would you say to a cooling system that circulates natural air, emits no pollutants, and stands to save you at least S$50 a month on your electric bill? Revolutionary, right? Not really. We’re talking about the humble ceiling or table fan! Why depend on energy-guzzling appliances when all it takes to light up your home or enjoy a light breeze is opening up the windows? You’d be surprised at how much little things like installing low-flow shower heads, running the washer dryer on full load, sealing air ducts and fixing a leaking faucet contribute to a greener home. Open your mailbox and you will invariably see a big bunch of brochures, mailers, and promotional flyers. You are already comfortable using technology so why not move to the electronic platform completely and cut back on these unnecessary print materials. By doing so, you can avoid unnecessary clutter in your home. This is a great green initiative too as it reduces cutting of trees and saves unnecessary carbon emissions occurring while these papers are transported. Indoor plants give a home a fresh, airy look, perfect to come back to after a long day at work. However, if you find your plants taking up too much of your time and resources, they may be misfits in the green home you aspire to live in. Aloe, snake plant, cactus and other succulents like the Jade plant are sure to brighten up your home requiring minimal watering and low sunlight. Singapore receives roughly 2350 mm of rainfall every year, yet it imports half of its water requirements. Thankfully, the catchment area, sourced from rainwater is continuing to increase, thanks to awareness about rain harvesting. You can do your bit too. If you live in a high-rise building or a landed property, you can collect the rain through collection tanks placed on your balcony or roof. You can even make water collection containers using pails or big tubs. You could end up saving more than 10% of water, resulting in more savings. Upcycling lays bare a wonderful concept–that there is beauty even in waste. You buy a new tablecloth, what do you do with the old one that still looks good? Instead of throwing it down the garbage chute, why not upcycle it, that is making it an even more worthy product for you? A fun apron for the kids, a doll’s dress, kitchen towels, there is so much you can do with that cloth! Old bottles make for great DIY home décor projects as do buttons, shoeboxes, old suitcases, cutlery, and run down furniture. Check out YouTube for innovative upcycling ideas. Upcycling is a big hit among Singaporeans so do check for classes nearby. Aside from the pride of creating a beautiful product with your own hands, upcycling is sure to help you take another step closer to your dream of living in a green home. Have any other interesting ideas or personal experiences to share? We are all ears here. This article was written by BankBazaar.sg. BankBazaar.sg is a leading online marketplace in Singapore that helps consumers compare and apply for financial products such as credit cards and loans. All information provided in this article is strictly for general information purpose only. Electrify does not provide any warranty about the authenticity and accuracy of such information. Electrify will not be held responsible for any loss and/or damage that arises or is incurred by use of such information. For more details, please consult your financial adviser.